Global speciality chemicals players are securing market demand for additives with new offerings and expansions, says Angelica Buan in this report. 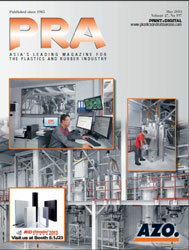 Over the years, a broad range of applications has relied on using plastics. However, plastics are not invincible to a variety of issues including degradation during processing, discolouration, and loss of impact strength. Additives such as antistatic agents, flame retardants, UV stabilisers, microbials, polyurethane catalysts, and the like, can stretch the inherent limitations of plastics and rubber and enhance their properties. Commodity plastics including PE, mostly used for packaging bags, films, green house films and more; PVC, used mostly for pipes; PP, PS, PMMA, and others that are used for various end use products, are benefiting from additives. The burgeoning market size of plastic additives forecast in a new Lucintel market report to cross US$50 billion in the next five years is being driven by the growing applications in the construction, packaging, consumer goods, and automotive industries. Additives are largely used in compound formulations to improve chemical and physical properties, according to Grand View Research in its 2016 plastic additives market report. For industrial applications, additives in use include property modifiers, extenders, stabilisers and processing aids. Additives in this segment are expected to garner a CAGR of 4.5% from 2015-2022, accounted by rising industrial output and increased economic activity in the emerging markets of Asia and South America. A market winner in this segment, antioxidants, is expected to secure a market size worth over US$2.1 billion by 2022, according to Markets and Markets. In view of the growing market, German materials maker BASF is expanding production capacity for its Irganox 1010 antioxidant by 40%. The production expansion is aimed for its sites in Jurong, Singapore, and Kaisten, Switzerland, to cater to demand from customers in Asia and Europe, Middle East and Africa from its regional supply points. Irganox 1010 is a sterically hindered phenolic primary antioxidant. It provides protection against thermooxidative degradation, mainly applied in polyolefins and is also recommended for polyacetals, polyamides and PU, polyesters, PVC, ABS, as well as for elastomers such as butyl rubber and synthetic rubbers. Hermann Althoff, Senior Vice-President, BASF Performance Chemicals Asia Pacific, furthered that the production expansion in Singapore, expected to come online in 2019, is targeted to double capacity for Irganox 1010 with additional production line; and in Kaisten, which is coming online in early 2021, will add 30% to its existing capacity by debottlenecking production. Moreover, BASF is investing in its Alabama facility in the US to improve asset reliability and further expand capacity to meet growing customer demand. Another such antioxidant player, South Korean chemical manufacturer Songwon, has introduced the latest addition to its produce line-up. Songnox L570 is said to provide primary antioxidant protection against thermo-oxidative degradation by reacting with and stabilising free radicals. Furthermore, the liquid butylated/octylated diphenylamine antioxidant is designed for demanding automotive and industrial lubricant end uses, as well as speciality applications, such as grease. Dr Gerard Mulqueen, Songwon’s Global Business Manager, Fuel & Lube Additives, described it as a highly versatile product that protects oils and lubricants from degradation, prolonging the life of oils in vehicles and machinery. Songwon develops, produces and markets industry standard aminic, phenolic, phosphite and thioester antioxidants, providing customised solutions for numerous end uses. The packaging sector is the largest application segment of the plastic additives market, projected to reach nearly US$51 billion by 2021, growing at a CAGR of 4.9% from 2016, Markets and Markets highlighted in its market report. 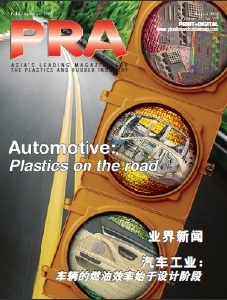 The growth of plastic additives in the segment is fast tracked by globalisation, lifestyle change and urbanisation. Addivant, a US supplier of liquid phosphite antioxidants for plastics, is offering its latest nonylphenol-free stabiliser, Weston 705, for foodcontact packaging. Weston 705 has recently been included in the revision to the food contact regulation in the Mercosur region, the South American trade bloc between Argentina, Brazil, Paraguay and Uruguay, for use in broad foodcontact packaging materials. Dubbed as the “first and only antioxidant since the 1970s that has achieved global food-contact approvals”, Weston 705 is already approved for use in food-contact packaging in more than 180 countries including the US, Canada, Europe and China. Meanwhile, Swiss speciality chemicals firm Clariant offers its latest controlled-atmosphere packaging solution that helps control moisture and prevent degradation of packaged pharmaceuticals. Introduced early this year, EQius is used as an umbrella brand for products currently marketed as EQ-Pak packets, EQ-Can canisters, EQ-Stopper closures, and EQ-Bag bags, along with the raw material that goes in them. The different forms make it possible to customise humidity control throughout the drugproduct development cycle, from bulk ingredients to finished pharmaceuticals. EQius products are made using specially engineered sorbents that can act as humectants (desorbers) and desiccants (adsorbers) simultaneously, maintaining a particular equilibrium relative humidity inside product packaging. This line of standard equilibrium-stabiliser products can maintain ERH levels of 10%, 20%, or 30% to help protect finished drug products in bottles or tubes, or to help protect bulk ingredients (powders, capsules) in boxes or bags before, during, or after tableting or filling operations. Elisa Le Floch, Clariant Healthcare Packaging, Business Development Manager, explained that hydrolytic degradation of drugs can be addressed by removing substantially all humidity entering the packaging using a desiccant. "Specific drug properties may require that a specific range of humidity be maintain throughout the shelf life of a drug product or ingredient." Typical examples include micronised drug powders used in inhalers or gelatin capsules. In these and other applications too much or too little humidity can cause unacceptable damage, she said. Clariant Healthcare Packaging is also promoting new iron-based absorbers, which it has developed with Nanjing Tianhua Tech Co. The new Oxy-Guard oxygenabsorber packets for infusion bags can help prevent degradation and colour changes caused by oxygen in liquid infusion bags containing emulsion, amino acid, nutrition liquid and pharmaceutical products. Additives are chemicals and are heavily regulated for safety as they are potentially hazardous materials for human health and the environment if not used properly. It is thus important for additives producers to comply with chemicals standards and regulations. One of these milestone standards is the Kigali Amendment adopted by the Montreal Protocol in October 2016. The Montreal Protocol on Substances that Deplete the Ozone Layer was designed to reduce the production and consumption of ozone depleting substances in order to reduce their abundance in the atmosphere, and thereby protect the earth’s fragile ozone Layer, according to the United Nations Environment Programme (UNEP). As reinforcement to the Protocol, the Kigali amendment, aims to phase down production and consumption of hydrofluorocarbons (HFCs) worldwide. HFCs are widely used alternatives to ozone depleting substances such as hydrochlorofluorocarbons (HCFCs) and chlorofluorocarbons (CFCs), already controlled under the Montreal Protocol. In some cases, regulations are conjectured to impact growth and competitiveness of some sectors, the Kigali amendment encourages opening of international markets to new technology that is better for the environment without compromising performance. French speciality chemicals Arkema, recognising the impact of such standards to customers, has developed the Forane 449A (XP40) additive for the industrial and commercial refrigeration applications, which it says offers a straightforward substitution solution compatible with equipment designed to run on the R-404A/507A gases and on lubricants in the refrigeration market. A major fluorogas player, Arkema has expanded its range of sustainable high performance solutions to assist its customers in making the transition to fluorogases with a lower global warming potential (GWP) HFC product for end-use applications in the refrigeration and insulation markets. Likewise, in the PU foam market for insulation applications, Arkema offers Forane 1233zd in Europe and other parts of the world. It is a HFO blowing agent that is ozone-friendly, non-flammable, and has a low GWP but still exhibits excellent performance, Arkema assured.